"All your life circumstances arise from your Terrain. For example, your choice of work and hobbies arises from your Terrain. Your relationship with money arises from your Terrain. Your relationships with other people arise from your Terrain. " - Quote from the book "Introducing The Ten Terrains Of Consciousness". 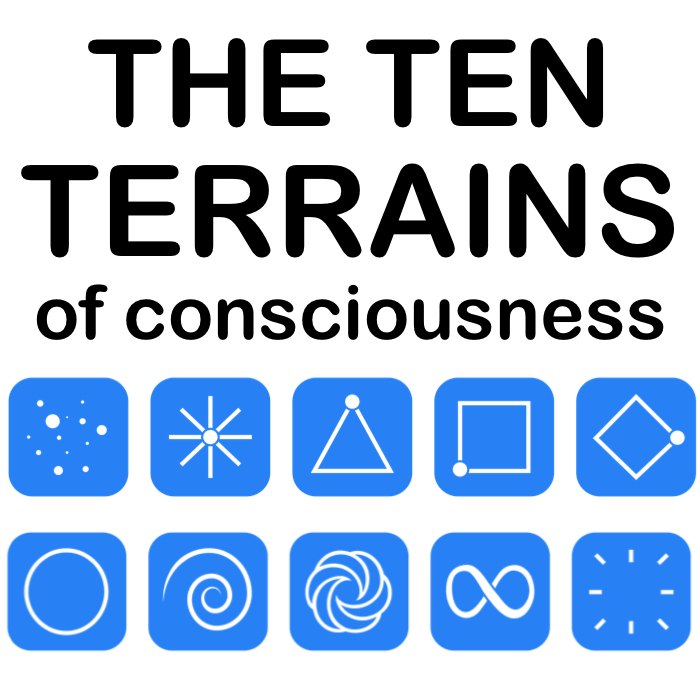 The Ten Terrains Of Consciousness have a very large impact on the way you relate to money, whether you are aware of them or not. 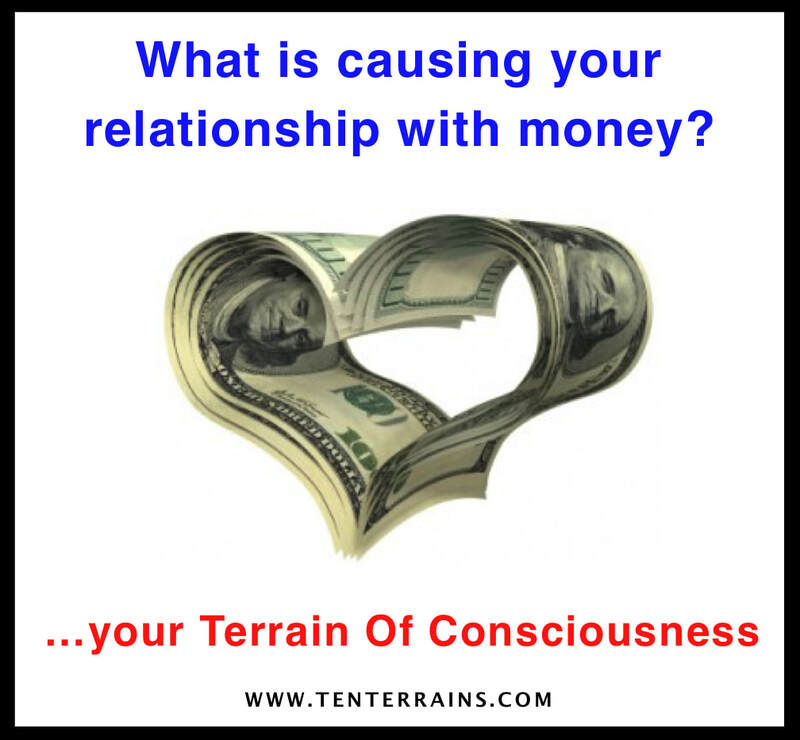 Not only are there many programs and traumas around money impacting on the Collective Field of Humanity, arising from the different Terrains playing out in our world, but your own individual relationship with money is being influenced by certain specific Terrains. If you grew up in a Square environment, you may believe things like “a penny saved is a penny earned” or “you need to work hard for your money”. If you were raised in a Pyramid environment, you may believe that "the rich get richer and the poor get poorer" or that "money is just a measurement of how well you play the game". Even if you are not at the same Terrain now as the one in which you were raised, you have taken on—to some degree—the beliefs to which you were exposed while growing up. The extent to which they are running your behavior now will depend on how much work you have done to de-program yourself from your childhood conditioning. If you are at the Will-Based Terrain (Pyramid) you most likely strive to accumulate as much money as you can regardless of the impact on other people, yet if you are at the Connection-Based Terrain (Circle) you probably seek to collaborate with others so that everyone in your community is fed and thriving. If you are at the Reflection-Based Terrain (Diamond) you likely have a powerful drive for financial independence, whereas if you are at the Order-Based Terrain (Square) you probably have a deep need for financial security. If you are at the ﻿Coherence-Based Terrain (Spiral)﻿ you most likely see money as an 'energy exchange' rather than as something that represents your value. If you are at the Fractal-Based Terrain (Toroid) you probably trust that money will always turn up because you are in Service to Life and therefore you do not feel the need to take steps to 'earn' money. Therefore, your entire core relationship with money is informed and shaped by your current Terrain Of Consciousness. To sum it up very simply: much of your personal relationship with money is created by the interplay between (a) the filter on reality coming from your current Terrain of Consciousness and (b) the beliefs and conditioning you were given by the Prevailing Terrain in which you were raised. Therefore, if you want to understand why you are in the financial situation you are in, you would be well served by learning about these two Terrains that are having the greatest impact on your life.